Create food that you can’t wait to eat. Our plum products come in a variety of forms, from concentrates to pastes and powders. This is how we turn dried plums into hard-working ingredients. Made from the juice of fresh prune plums, Fresh Plum Concentrate can be used in everything from meat and poultry for moisture binding to sauces to reduce sugar. When added like an extract in baking applications, it can also improve color and caramelization. Fresh Plum Concentrate is a gluten-free food made from GMO-free prune plums. Culinary: Fresh Plum Concentrate has the consistency of maple syrup and carries a pleasant, tart-cherry flavor similar to pomegranate molasses. Meat / Poultry: Fresh Plum Concentrate can be used in both vacuum tumbling and injection processes. Its high level of antioxidants suppresses lipid oxidation, helping to prevent WOF. The suggested usage levels for moisture binding is between .5% to 1.1% of the weight of the meat block. Sauces: Fresh Plum Concentrate blends well with water, adding sweetness and enhancing flavor. In tomato sauces and braising sauces, it can replace sugar and enhance seasonings while smoothing out the flavors of tomatoes or wine. Fresh Plum Concentrate also adapts to Southeast Asian sauces, such as sambal or satay sauce, adding sweetness to balance the flavors of the chiles and spices. Suggested usage levels vary from 3% to up to 25% depending on the recipe and desired sweetness. Since this is a concentrated product, it’s often necessary to use Fresh Plum Concentrate with water. Bakery / Bars: Fresh Plum Concentrate can be added in small quantities to subtly enhance the caramelization of light-colored baked goods, such as vanilla pound cake, madeleines, and gluten-free muffins. Because the ingredient is high in antioxidants, it also staves off rancidity in whole-grain baked goods. 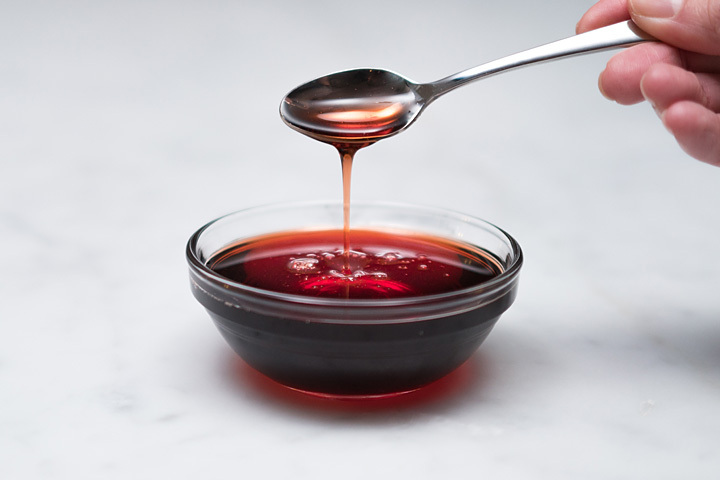 Sunsweet’s Prune Juice Concentrate is a sweet and mildly tangy syrup the color of molasses. It is made by concentrating Sunsweet Prune Juice and is excellent for bakery items and bars for sugar reduction and binding. It can also reduce sugar and sodium in dark-color sauces, like soy-based stir-fry sauces. On the label, it can be called “dried plum concentrate.” As a concentrate, it is often best when blended with a little water. Prune Juice Concentrate is a gluten-free food made from GMO-free prune plums. 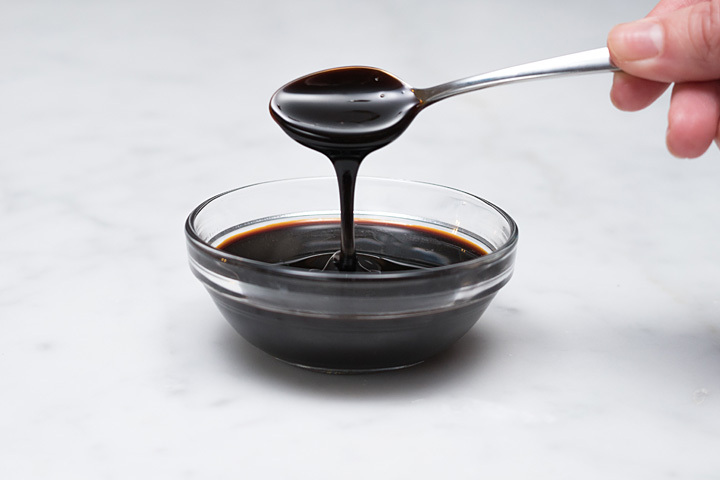 Culinary: With the color and consistency of a sweetened balsamic vinegar reduction but with a smoother flavor, our Prune Juice Concentrate is the perfect glaze for roasted vegetables (see recipe for Roasted Vegetables with Balsamic Glaze) or proteins. Its ability to enhance browning also reduces the time needed to caramelize onions. Meat / Poultry: A small quantity of Prune Juice Concentrate blended into ground meat used for burgers or sausages will deepen color and caramelization. Sauces: Our Prune Juice Concentrate pairs well with soy sauce and other condiments used in stir-fry sauces. When used in small concentrations, it can take the place of some of the soy sauce, allowing for lower overall sodium levels. 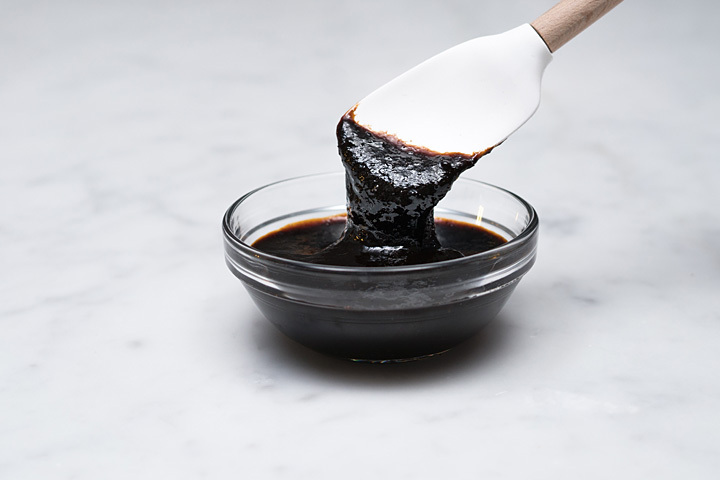 In dark sauces, it can also be used to replace from 20% to 50% of the honey, brown rice syrup, agave syrup, corn syrup, or invert sugar in a recipe. Because it also imparts sweetness, it allows for lower overall sugar levels. 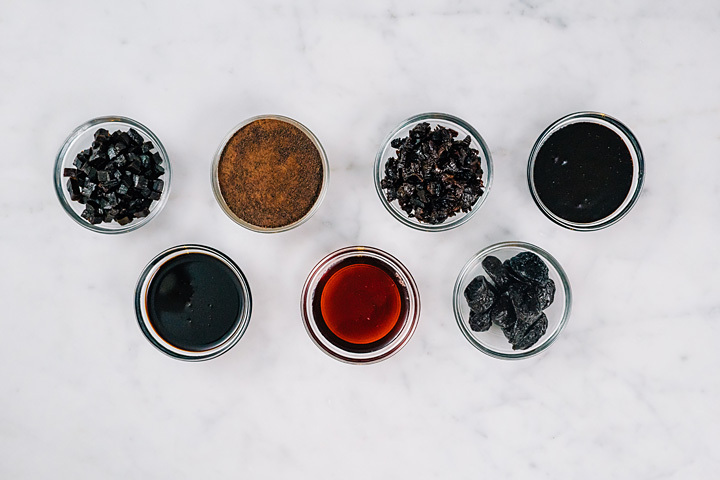 Bakery / Bars: Our Prune Juice Concentrate can increase moisture levels and decrease total sugar levels while increasing caramelization. To reduce fat and sugar, replace up to 50% fat with Prune Juice Concentrate (see the recipe for Fudgy Brownies). When making bars, use Prune Juice Concentrate to help with binding and moisture retention. Made from a blend of Dried Plums and Prune Juice Concentrate, this puree is high in sorbitol, a natural humectant, and has a tangy flavor similar to molasses. Used in recipes, it enhances other flavors, especially spices and chocolate. Dried Plum Puree is a gluten-free food made from GMO-free prune plums. Meat / Poultry: Dried Plum Puree lowers drip loss in sausages while imparting rich mouthfeel. Its high level of antioxidants also suppresses lipid oxidation and WOF. The suggested usage levels for moisture binding in sausages is between 1% to 3% of the weight of the meat block. Sauces: Dried Plum Puree adds body, tart sweetness, and depth to a range of sauces, especially dark tangy sauces such hoisin sauce, tamarind chutney, or barbecue sauce. Using the puree in sauces also allows for reductions in seasonings and salt. Bakery / Bars: Dried Plum Puree can increase moisture levels and enhance flavor. It can also lower fat and sugar in moist cakes and quickbreads as well as take the place of butter and eggs in vegan cookies (see recipe for Vegan Chocolate Chip Cookies). It also binds ingredients in gluten-free baking (see recipe for Flourless Chocolate Hazelnut Torte). In fruit-and-nut bars, it can take the place of date paste, lowering total sugar levels. Ground from whole prunes, this deep, reddish-brown plum powder is very hygroscopic and slightly tacky to the touch. It also has the capacity to enhance flavors without imparting much of its own flavor. Dried Plum Puree is a gluten-free food made from GMO-free prune plums. Culinary: Dried Plum Powder carries a mild, subtle toffee flavor. It imparts dark flecks when used, giving bakery items a wholesome whole-wheat look. 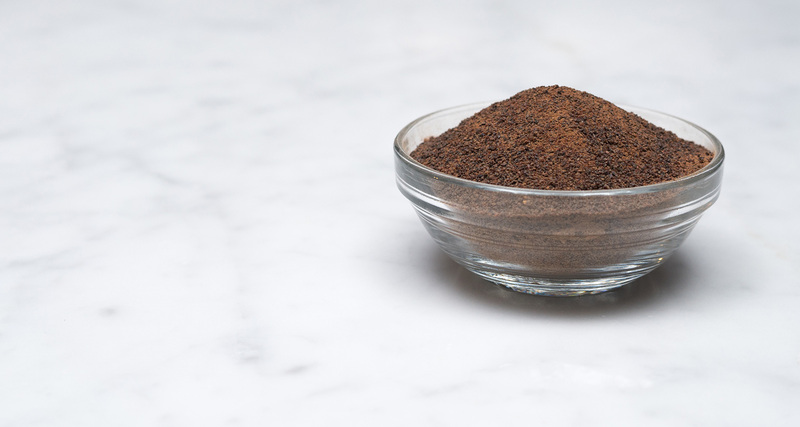 In meat and poultry, it looks like ground black pepper. Meat / Poultry: The powder retains moisture and absorbs purge. When mixed with seasonings to form a rub used to coat the outside of whole-muscle cuts, Dried Plum Powder creates a low sodium method to adhere spices and herbs to the surface of meat. When used in ground meat products, it also enhances caramelization while staving off lipid oxidation. Bakery / Bars: Dried Plum Powder can enhance browning and increase moisture levels in baked goods and bars. When used with light-colored gluten-free rice and/or corn flour blends, it gives products a whole-grain appearance. Use Dried Plum Powder to replace up to 100% flaxseed meal, rice bran, or citrus fiber or replace up to 50% inulin, fructooligosaccharides, maltodextrin, or oat fiber. Made by pitting or pitting and dicing, Whole Pitted Dried Plums and Diced Dried Plums are free-flowing and low in water content. They are higher in fiber and lower in sugar than raisins, dates, and cranberries. These dried plums are gluten-free and made from GMO-free prune plums. Culinary: Whole Pitted and Dried Plums add subtle sweetness to classic braises, such as Moroccan lamb tagine or chicken with onions and olives. Diced Dried Plums can be mixed into recipes in place of or along with other dried fruit and nuts. Soak them in red wine vinegar and whisk them with olive oil for a quick sauce to drizzle over roast chicken or pork or to use with roasted vegetables such as cauliflower, carrots, or parsnips. 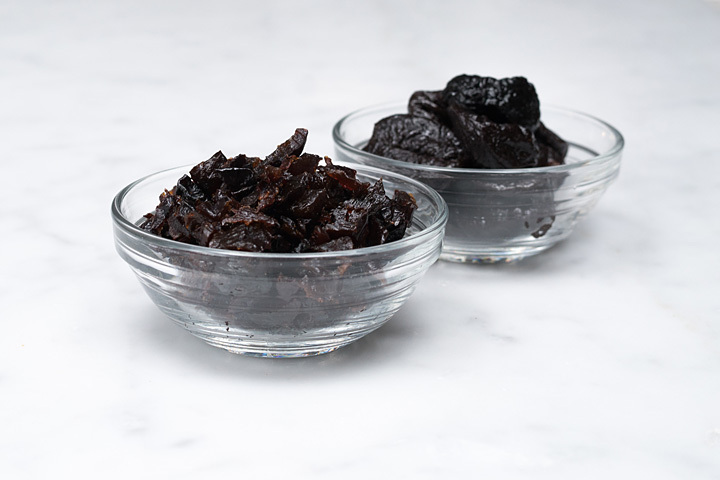 Prune Bits are made from dicing a paste made solely from prunes. The bits are free-flowing, low in water content, and easy to use and store. They can often be used in place of Dried Plum Puree for a lighter flavor while still providing moisture and caramelization. 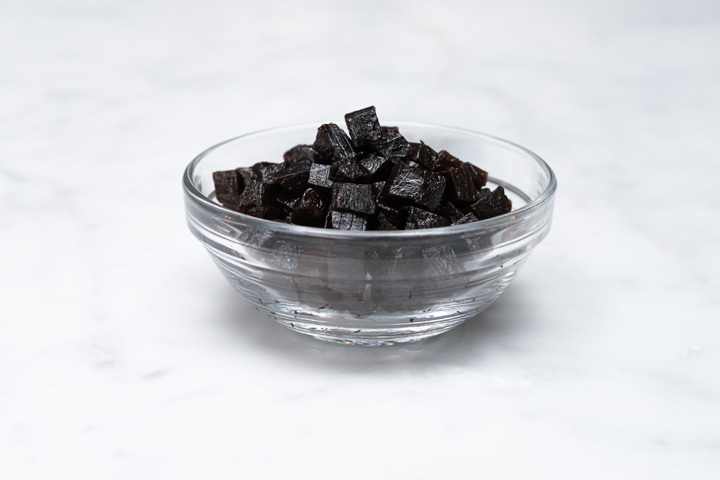 Prune Bits are gluten-free and are made from GMO-free prune plums. Culinary: Prune bits have a deep amber to brown color and carry a sweet, mildly tart flavor reminiscent of fruit leathers. Their texture is chewy when dry, though the bits dissolve quickly into a paste when mixed with liquid. To make a paste for benchtop tests, soak bits in a 1:1.5 ratio of bits to liquid. Soak overnight with liquid at room temperature or 20 minutes in hot liquid. If the paste is not completely smooth by simply stirring it, whisk or blend it. Sauces: For darker-colored sauces that may need body, such as hoisin or barbecue, dissolve Prune Bits into the remaining ingredients to thicken and add subtle sweetness. Bakery / Bars: Prune Bits work well in flavored pastes or fillings for bread or breakfast pastries. To make a flavored paste, soak the bits in coffee, tea, citrus juice or flavored water. To make a lower-sugar filling for cinnamon rolls, mix together 2 parts paste with 1 part brown sugar and season with cinnamon. The paste can also be used to replace up to 50% fat in a baking formula. If using the bits with melted chocolate for a recipe such as fudgy brownies, the bits can be melted directly into the chocolate. They can also be used as an inclusion, though add them at the end of the mixing process to prevent them from softening into a paste.